Remember When HBO Said Game Of Thrones Could Last 20 Seasons? 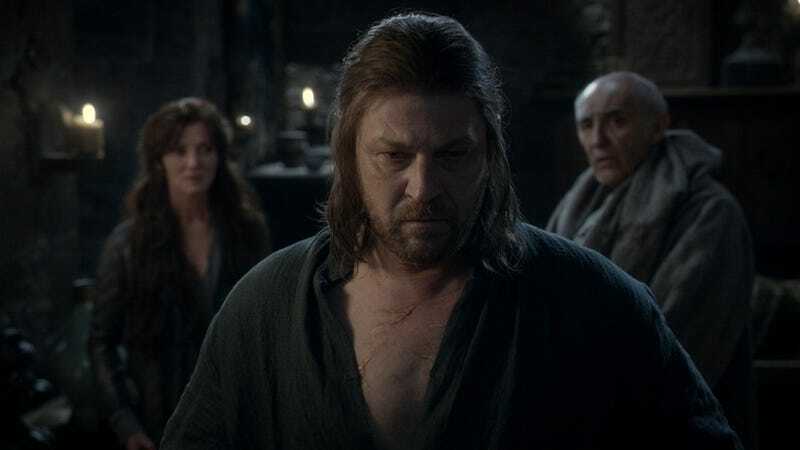 There seems to be a disconnect lately between HBO, which wants Game of Thrones to last just seven seasons, and George R.R. Martin, who seems to think the show could last years and years, devoting a couple seasons each to Feast For Crows and Dance With Dragons. But where did Martin get this impression? Maybe from HBO. Lately, HBO programming president Michael Lombardo has been quoted as saying that seven seasons seems like the right length for the show. But back in 2011, when the show was new, Lombardo told the same reporter, EW's James Hibberd: "I hope it lasts for 20 years. I promise you we won't stop it before it's ready to stop." To which HBO co-president Richard Plepler added, "We told [author George R.R. Martin] we'd go as long as he keeps writing."